Yesterday social media giant Twitter went the extra mile in pure totalitarian censorship moves to permanently ban InfoWars and Alex Jones from their platform, as well as Periscope. Last month, InfoWars was banned, and had their pages removed from Apple, Facebook, YouTube, Spotify, LinkedIn and others. It is not known whether it was done permanently, however, what’s the difference in such conjoined efforts to silence InfoWars? Twitter may have banned InfoWars permanently as a result of Alex Jones’ recent exchange with Florida’s Republican Senator, Marco Rubio, whilst he was being asked questions by a CNBC reporter about Internet censorship. Alex Jones cut in and made his frustrations known about the Democratic Socialists in Silicon Valley banning right-wing and free thinking media. Furthermore, the banning of Alex Jones and InfoWars coincided with Twitter CEO, Jack Dorsey, who had just been appearing in back-to-back congressional hearings in Washington D.C. in order to respond to allegations of anti-conservative bias. What are the chances, eh? This anti-conservative bias limits the reach of free thinkers and conservatives on social media, by use of shadow banning, as well as the use of fake profiles that are implemented to stifle their social media posts. Reportedly, the main reason for the permanent ban of Alex Jones and InfoWars has been said to be down to posts and videos made on Wednesday about CNN’s Oliver Darcy, that violated policies on abusive behavior. As part of the ban, Alex Jones will not be able to create any new accounts or take over any existing Twitter accounts in the future. With such news, it does seem like the age of George Orwell’s novel ‘1984’ is already upon us, judging by this clear affront to freedom of speech, whilst liberal leftist media always gets a free pass. Isn’t the freedom of speech supposed to serve all views? InfoWars and Alex Jones have been suffering under seemingly a hatched plan by Facebook, YouTube and other social media giants, in order to oust them from the social media scene, and to stop them from spreading their information. However, Twitter explained their actions in recent Tweets regarding the banning of InfoWars over abusive behaviour, related to an Alex Jones video where he undermines CNN journalist Oliver Darcy’s views over the congressional hearing about social media, which funnily enough, touched upon conservative bias masked as “hate speech”, a term used by Silicon Valley to do their utmost to censor any right-wing media and subsequent news output. One thing is for sure though, and that is that Alex Jones has his own style; he vents his frustrations and shares his opinions in a very special way, and he’s been labeled a right-wing conspiracy theorist, which may just point to the fact that a lot of what InfoWars have been saying over the years, can be seen as correct. However, Alex Jones’ brazen style of delivery hasn’t helped matters, which has become even more energised after the conglomerate banning of InfoWars over social media last month. So, is that even a surprise at this point? Before Jones made his video on Oliver Darcy, he sought out Republican Senator, Marco Rubio, outside of the Senate Intelligence Committee hearing, and interrupted him whilst he was being asked questions by CNBC. Here you can watch the full video of Alex Jones and Marco Rubio exchanging some choice words. 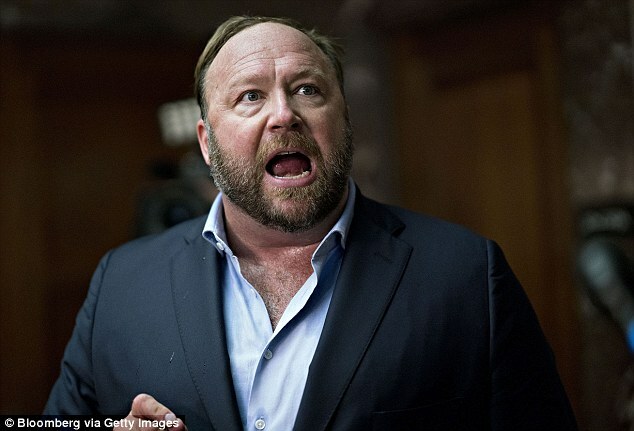 Alex Jones has now been banned and removed from all social media platforms, which should spark concern for the future of freedom of speech in the worldwide community, and on the worldwide web, since Alex Jones’ InfoWars had a radio broadcast, a YouTube channel, and was a big voice on other social media platforms, said to have reached at least a total of 70 million people per week. So, what do we make of the banning of InfoWars? Well, anyone would have to say that it goes against the 1st amendment (freedom of speech) of the US constitution, and to that of civilised societies. It’s really scary to think where this will lead unless it is resolved fairly, otherwise, this is a dangerous unregulated precedent that could begin to take hold, unless it is staunchly opposed. One cannot control other people’s thoughts, and one cannot implement the thought police legally. Maybe in time, the social media tech giants will soon learn that banning, shadow banning and censoring voices will only backfire in the long term.